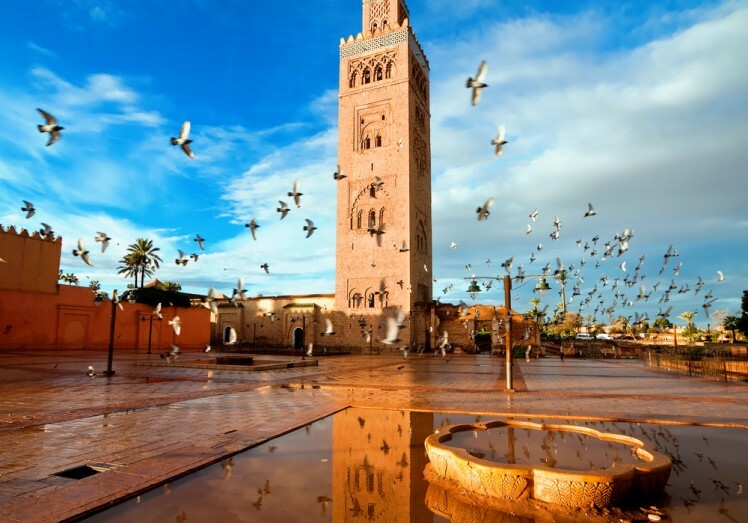 6 days Atlas mountains and Sahara desert to fes. Day 1: Transfert from Marrakech to Imlil Acclimatisation day around the Imlil Valley. The second day starts with a heart local breakfast, mules are packed and the trek starts. 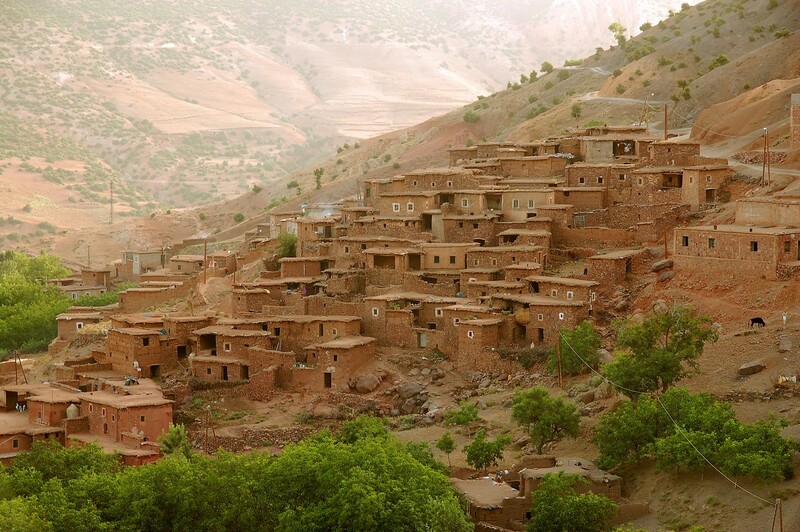 You will follow the valley passing through several Berber villages; this gives you an opportunity to see up close the buildings, people and lifestyle as they go about their farming and daily routines, feeding animals and tending crops. The route then winds its way uphill to Tizi n´Aguersioual, here the views are also exceptional as you straddle the two valleys form this high point. 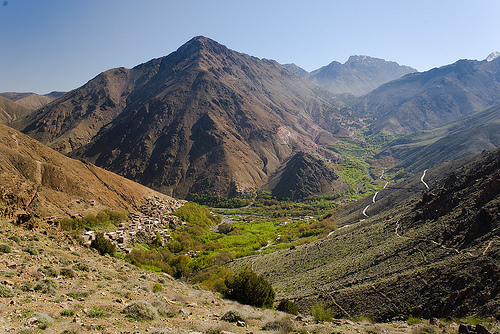 The trek then descends, passing villages perched on the mountainside, to the roadside village of Aguersioual where your transport will be waiting. 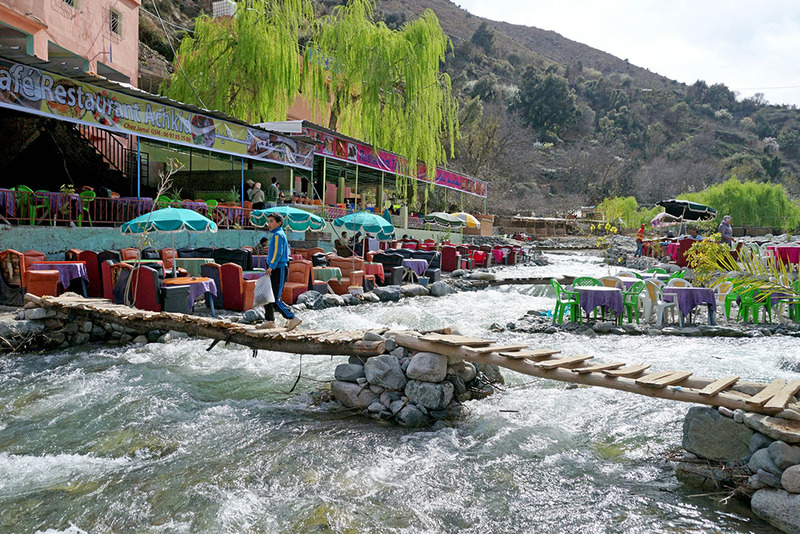 Lunch will be in the valley by the river. You can return to Marrakech or opt to stay nearby in one of the guesthouses in Tamatert we visit my family to have mint tea we us. 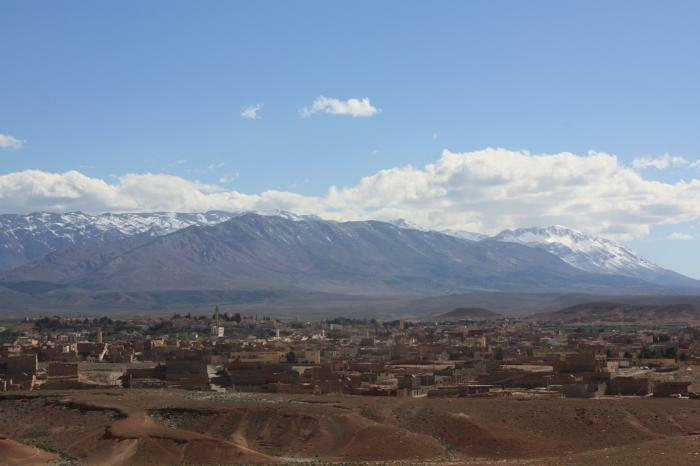 Day 4 : imlil – Ait Ben Haddou – Ouarzazate – Dades valley. Star for sahara tour desert trip from Marrakech to Fez ‘ starts. (around 08:00am) from imlil to Dades valley and gorges. Across the Tizi-n-Tichka mountain pass.with far-reaching views across the mountains,. to the traditional High Atlas Berber villages.., We continue to AitBenhaddou Kasbah to visit .the UNESCO World Heritage Site of Ait Benhaddou by walking inside its mud houses,. a spectacular fortified village (Ksour). 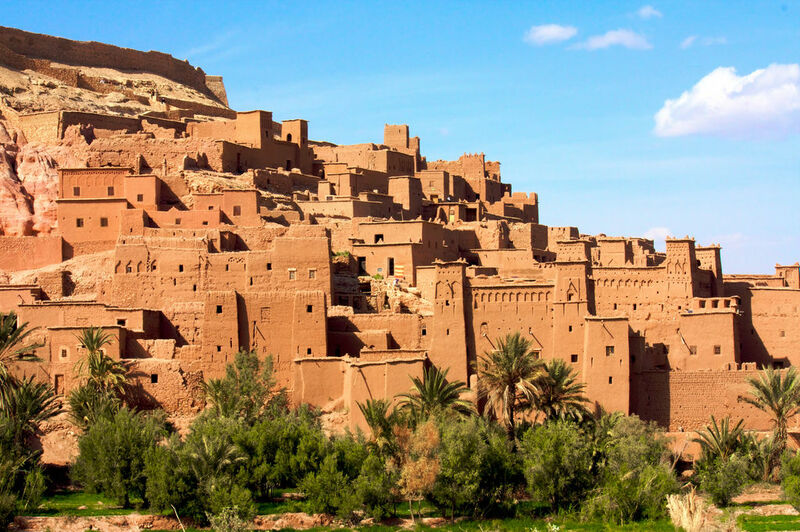 You can have your lunch at Ait ben haddou or Ouarzazate and .continue to Dades valley, we will spend the night in a riad in Dades valley with spectacular view of the valley. Wake up early morning .to enjoy the sunrise on the top of the dune. in the Sahara Desert . After these beautiful moments by camels., you will have your breakfast and take shower. We will depart to Errachidia city via Erfoud,. Aoufous and Ziz valley,. then stop for a panoramic view of the oasis of Aoufous. in the Tafilalte region. Continuation to Midelt across .the pass of TiziN’talghamt and have lunch break in midalet. After lunch we will be driven to Fes. (the medieval city) via the Cedar forest near Azrou and the mountain. of the middle Atlas with the possibility to see the Barbary apes (monkeys). You may have a stop in Ifrane (the Switzerland of Morocco).before arriving to Fes. Drop you off in your Riad/Hotel in Fes.